Researchers from Johns Hopkins University and Ohio State have developed a new method for predicting who is most at risk for developing thrombus. Thrombus occurs when blood clots form in the heart and can cause a disruption in blood flow, leading to serious cardiac events. Using simulations created on the Stampede supercomputer at Texas Advanced Computing Center, researchers found that the predictive factor lies in the mitral jet, which is a stream of blood that penetrates the heart’s left ventricle. The simulations were comparatively validated by using data gathered from patients who both experienced post-heart attack blood clots, and those who did not. 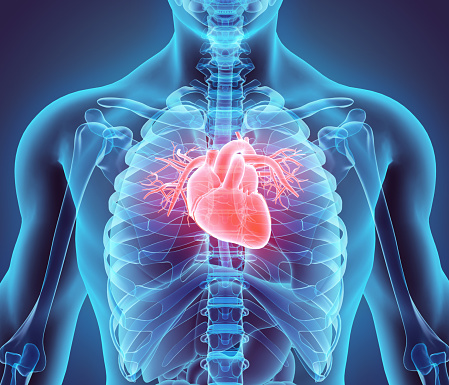 The results showed that if the mitral jet did not penetrate deep enough into the ventricle, it may stop the heart from flushing blood properly from the chamber, which could cause clots, strokes, and other serious complications. Measuring jet penetration can be completed using various existing tools and procedures already in place to assess the risk of clot formation, however its measurements would provide a more accurate picture of future risk. As heart disease is a leading cause of death in Americans, new methods for preventing and predicting its onset are crucial to extending the longevity of the US population. Professor Rajat Mittal of Johns Hopkins University added that the convenience of this new measure, coupled with its effectiveness, makes it especially valuable, stating “The beauty of the index is that it doesn’t require any additional measurements. It simply formulates echocardiogram data into the new metric.” Because analyzing the mitral jet does not require any extra work, it can be easily implemented and used in conjunction with existing practices to better predict the formation of blood clots. A more accurate prediction method could lead to preventative measures being taken sooner, reducing the risk of patients developing cardiovascular disease or experiencing a cardiac event due to blood clots. Related: What causes blood clots in the brain?